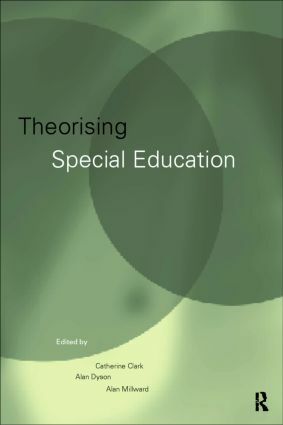 The field of special needs education is well established, and although it continues to develop in exciting and controversial ways, involving some of education's leading thinkers, many people feel it is lacking a coherent theoretical analysis of its own. Students and practitioners, looking for some solid theory to reinforce their own study or practice, commonly have to 'borrow' from other disciplines, such as psychology and sociology, since there has been no attempt to provide a theoretical foundation for the special needs community. This book does exactly that, bringing together contributions from key names in the field from UK and beyond. The book will establish itself as an essential text for students and teachers, as well as all those involved in special needs across the social sciences.